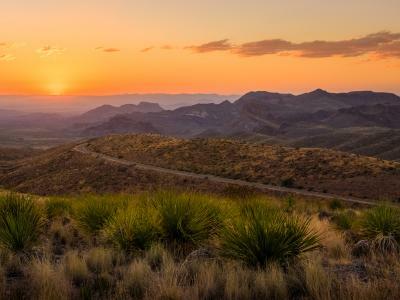 For a part of Texas that’s widely known for its stunning natural landscapes, the Panhandle Plains region lures visitors in from the canyons and prairies with a dynamically diverse collection of museums. From world-renowned paintings to frontier-town restorations, there’s plenty for families to see, do, and discover. Whenever I spend time in a new place, I enjoy seeing the sights, tasting the food, and meeting the people. However, nothing is better than a visit to the local museum to help you get a deeper understanding of an area’s multifaceted past and present. 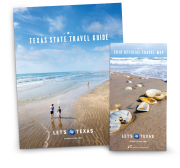 In Texas, few places have a more colorful past—or a more surprising present day—than the Panhandle Plains region. As we found on a recent trip, those stories are artfully told in museums, galleries, and historic sites from Abilene to Amarillo. Whether you’re a fan of Roy Rogers or Robert Rauschenberg, Abilene offers art for every inclination. The Grace Museum in downtown Abilene has more than 1,500 works in its collection. Focusing on “American art with Texas connections,” the exhibits included well-known artists like Ansel Adams and Andy Warhol, but we enjoyed discovering works by Texan artists like Melissa Miller and David Bates as well. If you’re more Rogers than Rauschenberg, however, just go straight to Frontier Texas! A wonderful Western heritage museum, this place had interactive displays, Indian tepees, and “spirit guides” who educated us at each stop along the way. Our favorite by far was the Experience Theater, where a multimedia movie put us in the middle of a buffalo stampede, a thunderstorm on the prairie, and a shoot-out at the Bee Hive Saloon. While cattle ranching and cotton growing built Lubbock, today the city is known as a center for education and health care as well. Those diverse realities are represented in the local museum scene. The National Ranching Heritage Center is a lot like visiting . . . well, a working ranch. Outside are restored schools, windmills, barns, and houses—48 structures in all—and we toured just about every one. Inside the center, we saw vintage saddles, 1,000 pairs of spurs, and 180 antique firearms. I’d love to say we “blew through” the American Wind Power Center and Museum, but it was much too fascinating for a short visit. There were hundreds of windmills, vintage ones gathered from old homesteads and private collections, and the newer, high-tech designs as well. Don’t miss the 172-foot-long mural showing the history of windmills, from early uses to modern designs. Driving north to Amarillo, we saw flat lands, prairies, few trees, and a whole lot of sky. It’s that approach that made our arrival in Amarillo a pleasant surprise. We discovered a big, beautiful city with tall buildings, green parks, and thriving companies for opera, symphony, and ballet. And at least a dozen museums. We checked in at the Big Texan Motel, primarily for the convenience to the Big Texan Steak Ranch, home of the 72-ounce steak challenge—“Eat it all and it’s free.” We got to the restaurant in time to see one man working his way through the enormous meal, and (wisely) decided to opt for a chicken-fried steak (shared, because it was Texas-size, too) and two pints of “Whoop Your Donkey” Double-IPA beer, brewed right there in Amarillo. Friends of ours who used to live in the city had given us a list of museum recommendations, beginning with the Amarillo Museum of Art. The 32,000-square-foot building’s mid-century modern design houses several American modernist paintings, including four watercolors by Georgia O’Keeffe. In the photography collection, we saw photographs by Dorothea Lange, Jack Delano, and others before venturing outside to view the sculpture garden. Also on the “recommended” list was the Panhandle-Plains Historical Museum. The “Smithsonian with a Texas Accent” had extraordinary exhibits chronicling the histories of art, geology, paleontology, vehicles, decorative arts, the petroleum industry, sports, and textiles of the Panhandle Plains region. We came away thoroughly educated about the area, but exhausted. With time (and energy) running short, we put another few museums on the agenda for our next visit. 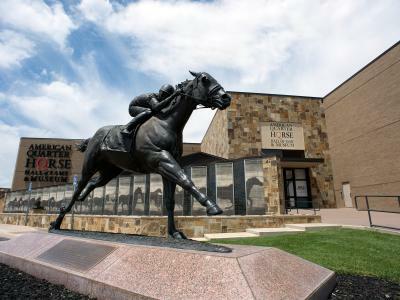 We learned the Texas Air & Space Museum and the American Quarter Horse Hall of Fame & Museum are popular with visitors. In addition, for people who appreciate “fringe art” (like us), there is the Devil’s Rope Museum (a tribute to barbed wire history and lore) and the Jack Sisemore Traveland RV Museum, showcasing a mother lode of cool vintage campers like a 1937 Kozy Kamp and a 1962 Airstream. In the early 1900s, the railroad was key in determining where towns flourished, as well as where they didn’t. Consequently, the Panhandle Plains region is riddled with several “ghost towns”—communities that were founded in anticipation of the railroad that never came. If you’re determined, you can still get to and see the remains of once-thriving towns like Medicine Mound, Desdemona, and Ochiltree.